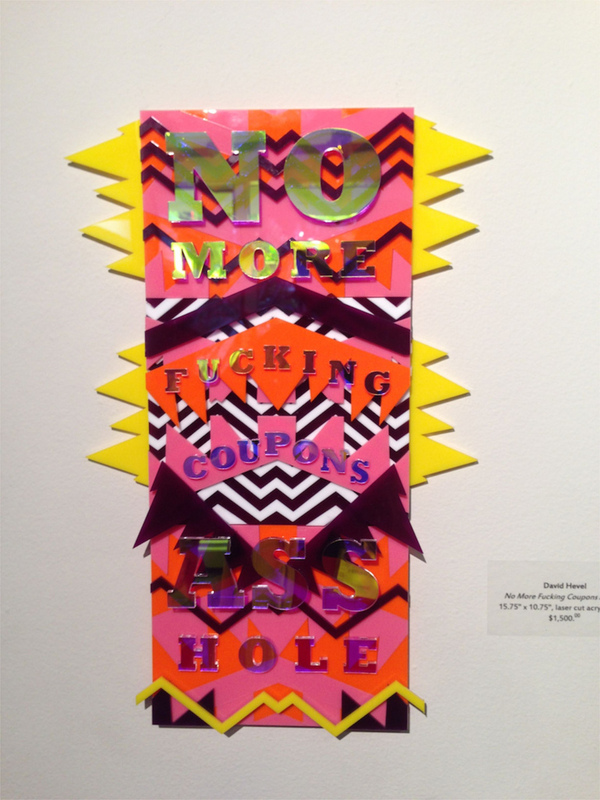 It's been a little over a month since the annual art fairs all returned to San Francisco on a single weekend. 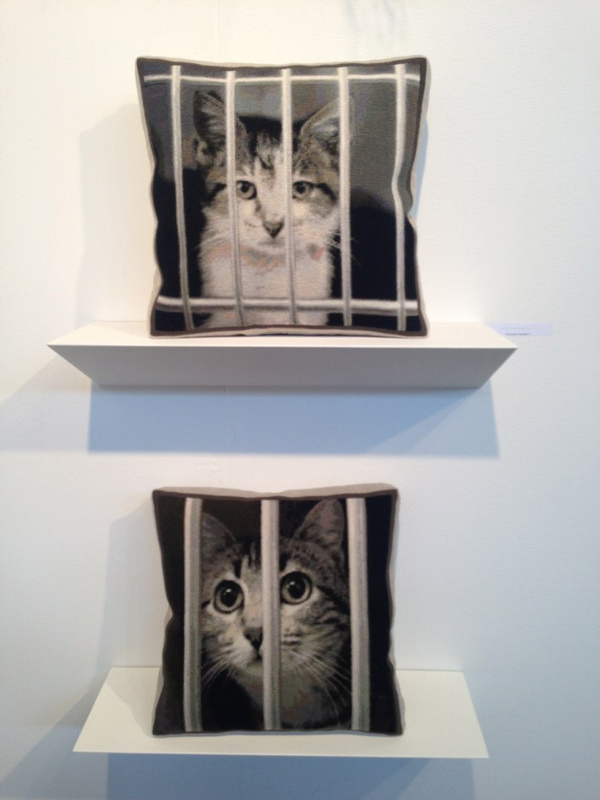 This year there were just two art fairs instead of three: ArtPadSF was once again at the Phoenix Hotel, and an expanded artMRKT took over the Fort Mason exhibition center. Consolidating to two fairs at once seems more reasonable. Not only is it less overwhelming for attendees, but the shakeout has left a strong dichotomy between the two. 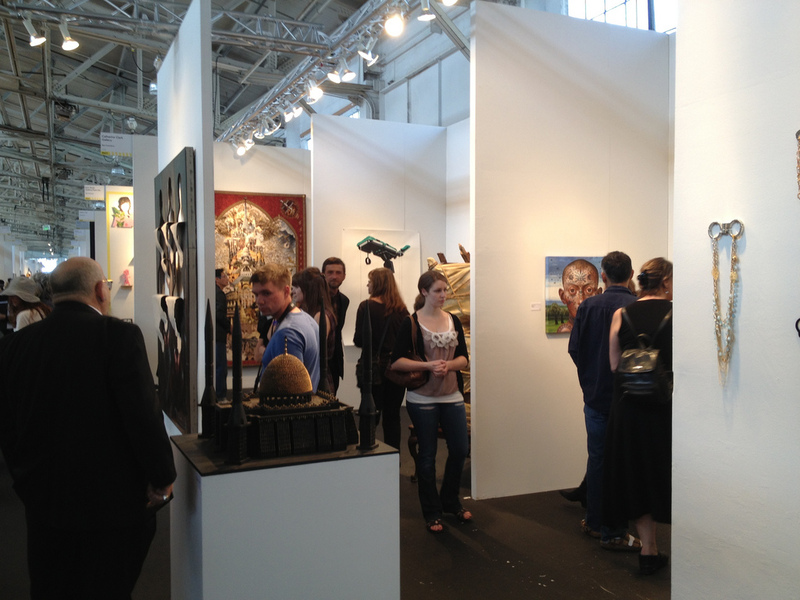 artMRKT is an international art fair in San Francisco, while ArtPadSF is a "San Francisco Art Fair." The latter is very intimately tied to the character of the city and specifically to the surrounding neighborhood, with the exhibitors in hotel rooms around the central pool, surrounded by the buildings of San Francisco's Downtown/Tenderloin neighborhood. One of the implied themes of ArtPadSF was art at all levels of the event, from the city setting, to the architecture and vibe of the Phoenix Hotel, the exhibitors' use of the hotel rooms, and finally to the works of art themselves. At the city level, a video installation by Andrew Benson entitled Shine Bright Plastic Diamonds projected on the wall of a nearby building, putting the art back into the surrounding neighborhood. The pool acted a centerpiece for performances, such as the Tsunami Synchro synchronized swimming team. The hotel rooms can be challenging spaces for exhibiting art, but some galleries were quite creative in their presentations. Notably, McLoughlin Gallery turned the centerpiece of Cristobal Valecillos' recent solo exhibition American Family into a custom entrance to their hotel room. 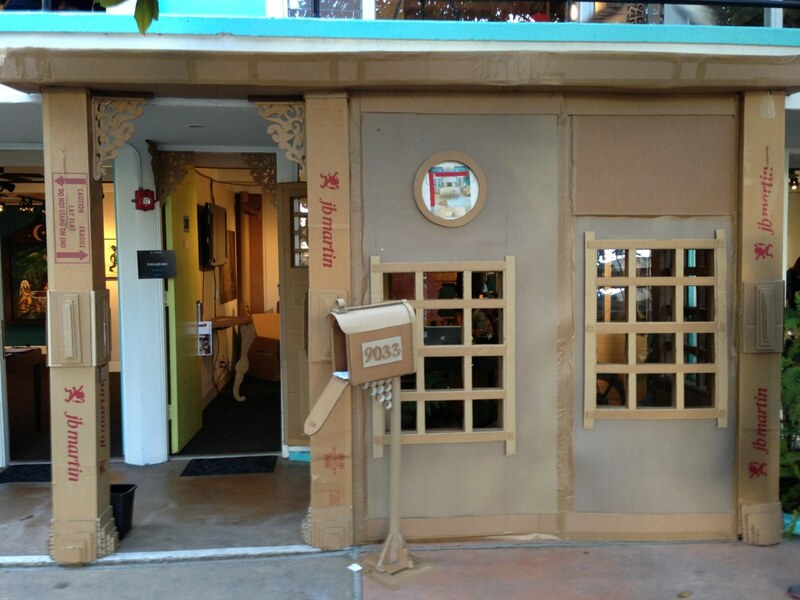 Visitors walked through the entryway, constructed entirely of cardboard, to enter the interior of the room which featured Valecillos' portraits. 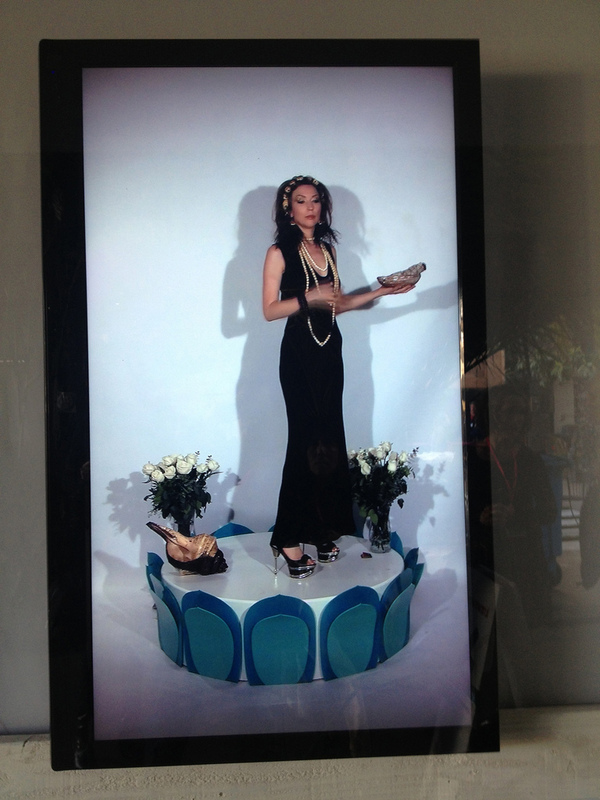 Overall, ArtPadSF tends to have a higher concentration of quirkier and edgier works on display each year. Longtime presenters Marx & Zavattero introduced mix-media pieces by David Hevel that were fun and unusual in their textual coarseness for an art fair. Non-standard materials seemed to be a focus in much of the art on display. 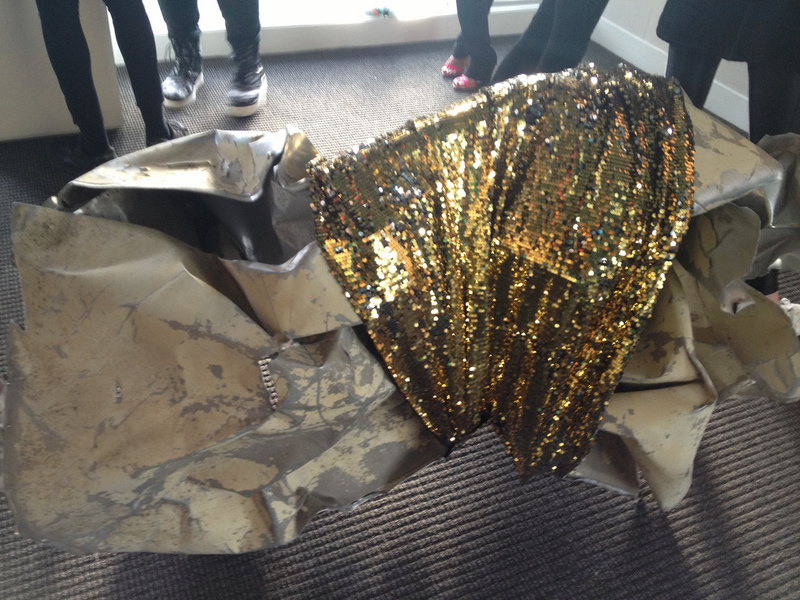 It is not every day that one encounters artwork made entirely from trailer rubble, but this is precisely the source of Elizabeth Dorbad's pieces presented by Unspeakable Projects. 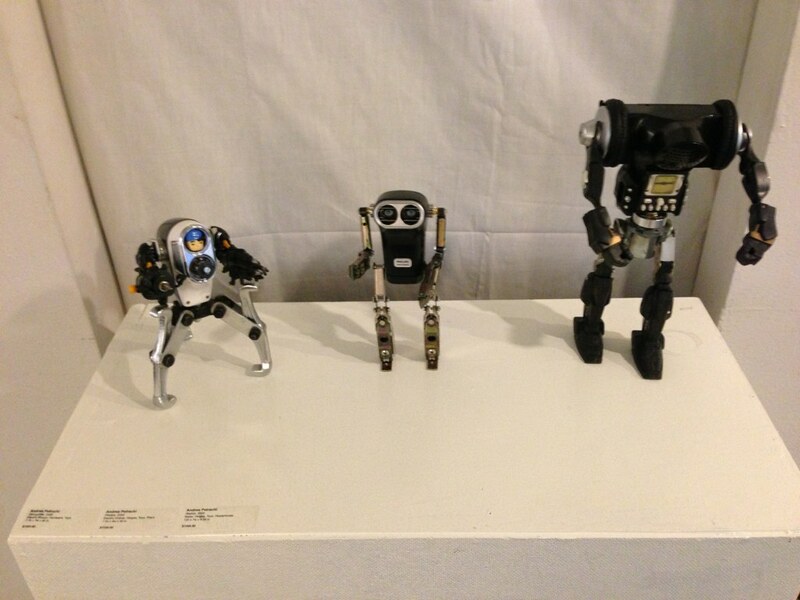 On the other end of the scale for source material and finished product, artist Andrea Patrachi repurposed old cameras to make robots in a quirky display presented by Mirus Gallery. There were also works beyond the traditional physical materials and dimensions, such as a variety of pieces for video and multimedia. One of Oakland's more experimental galleries, Krowswork, made strong use of their space combining projected video and physical media at different angles to create a single immersive experience. Their presentation included subtle video and sculptural works by Mark Baugh-Sasaki and striking performance videos by Monet Clark. 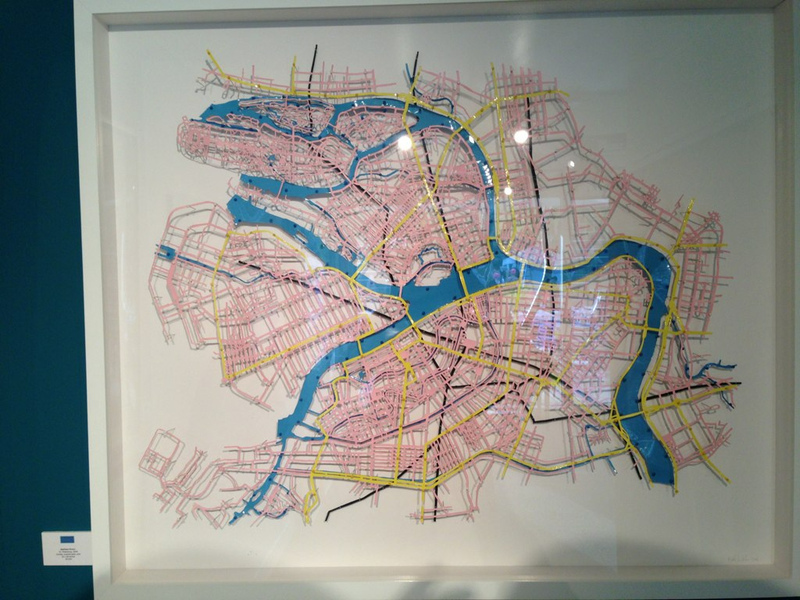 Source materials even brought in the conceptual, as in Hughen/Starkweather's pieces based on data from architectural plans of the Bay Bridge, presented by Electric Works. Their work featuring architectural precision and analytical elements, but also more organic and liquidy elements that give the art an unexpected sense of warmth. 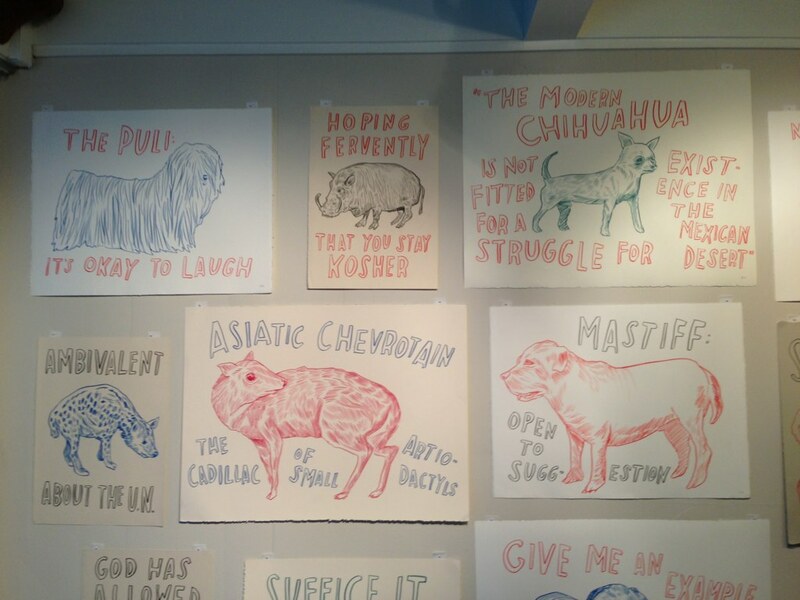 In keeping with the San-Francisco-centric nature of the exhibitions at ArtPadSF, Electric Works also includes a wall of amusing drawings by local luminary Dave Eggers featuring animals and snarky captions. Eggers' drawings are an "analog" version of the popular captioned internet photos, but with darker and more subtle humor. Although a majority of the exhibitors were local, there were still a few galleries from elsewhere. 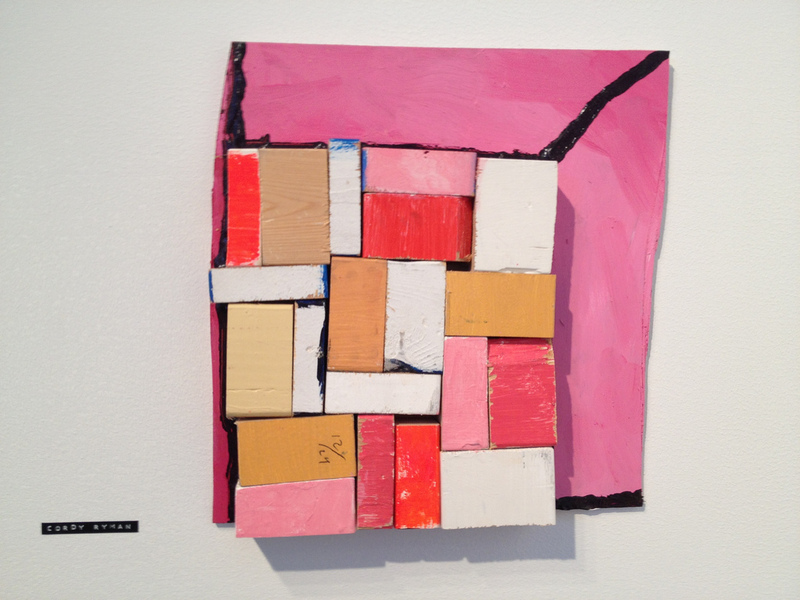 Beta pictoris gallery / Maus Contemporary came from Birmingham, Alabama, and presented an eclectic mix of two-dimensional and three-dimensional works. 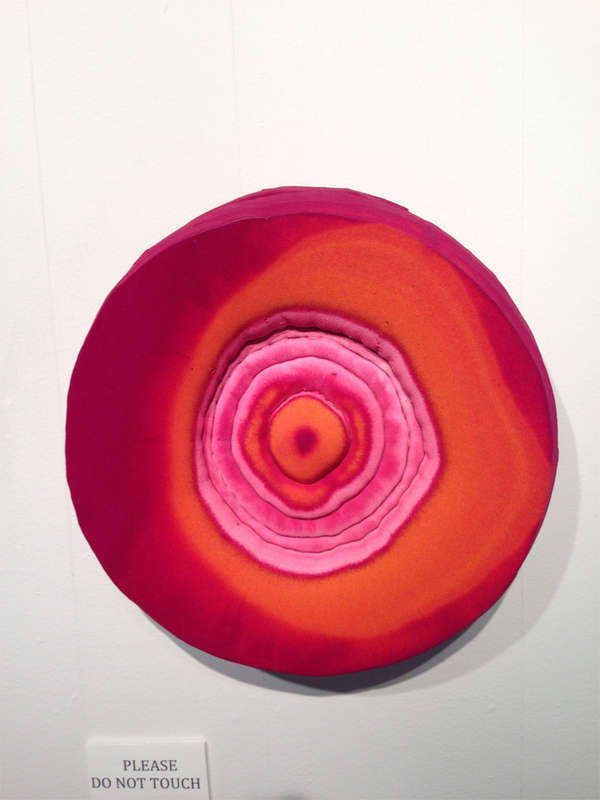 Susanna Starr's aptly named Magenta / Orange was among the more visually captivating in its simplicity, but also a bit perplexing in its uneven texture and shape, which invites speculation on what it is and how it was made. 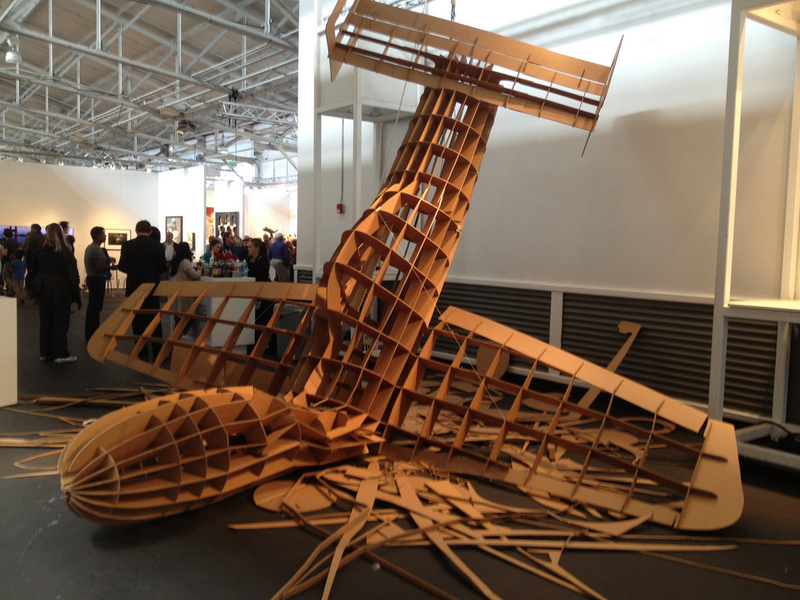 The setting and tone for artMRKT were a stark contrast to ArtPadSF which took place at the Fort Mason Center Festival Pavilion, a large exhibition hall along the bay. Light and airy, the space provided a blank canvas for the exhibitors and artworks. It all seemed quite conventional. This is not to say that there wasn't unusual or compelling work to be found. Michelle Pred's trio of red conceptual pieces from Nancy Hoffman gallery stuck out for its combined composition. 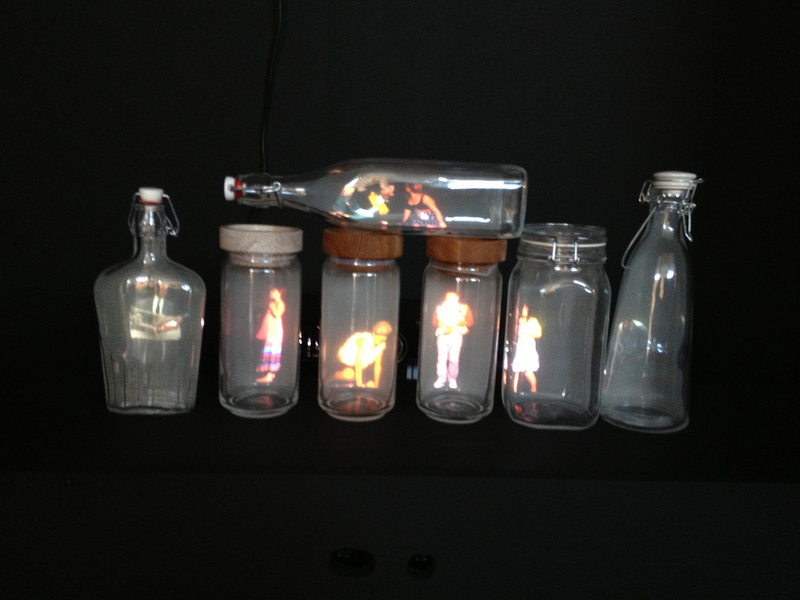 A fun exhibitor that has been at artMRKT for a couple of years is New-Orleans based Red Truck Gallery. The art they display is difficult to categorize, but tends to fall into a mix of styles that blend traditional craft, found objects and contemporary urban sensibilities. 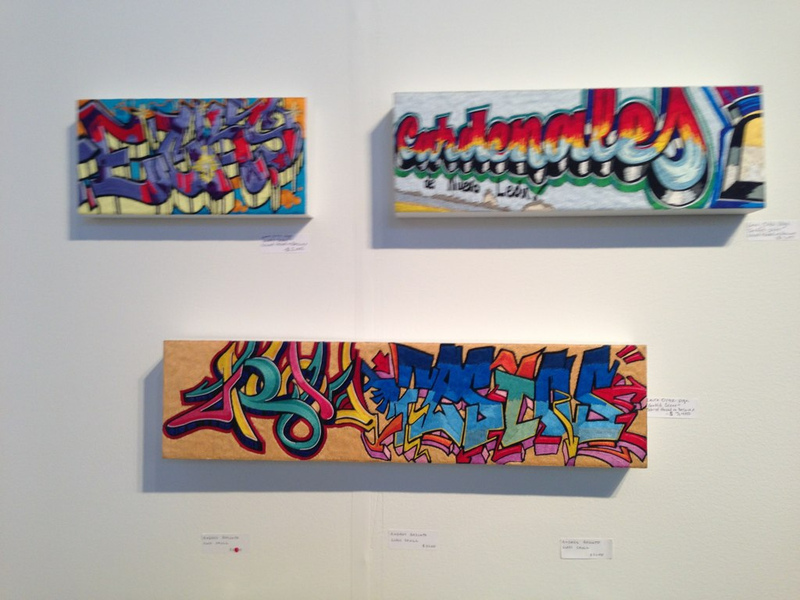 Their exhibition was larger this year and featured more artists, including graffiti-inspired pieces by Laura Ortiz Vega and glass-encased objects by Jason D'Aqiuno. 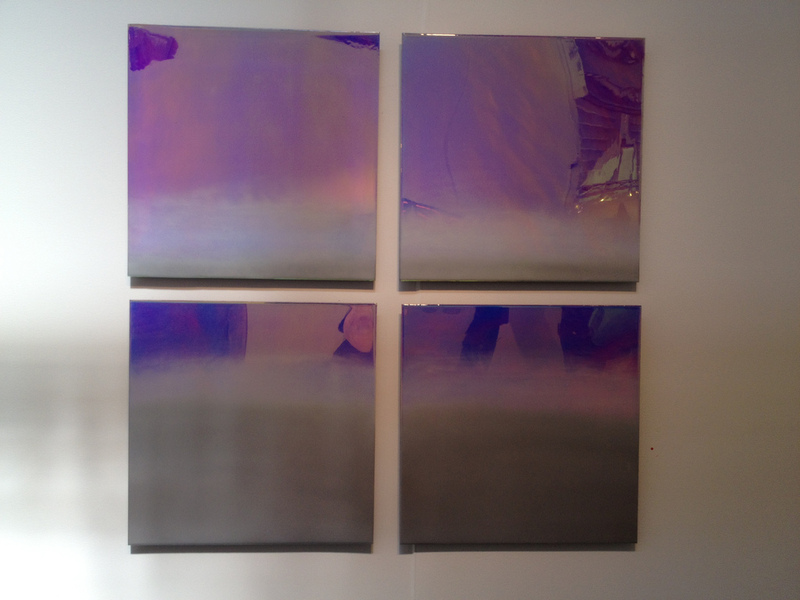 The space at the larger fair also opened up opportunities to consider larger works. 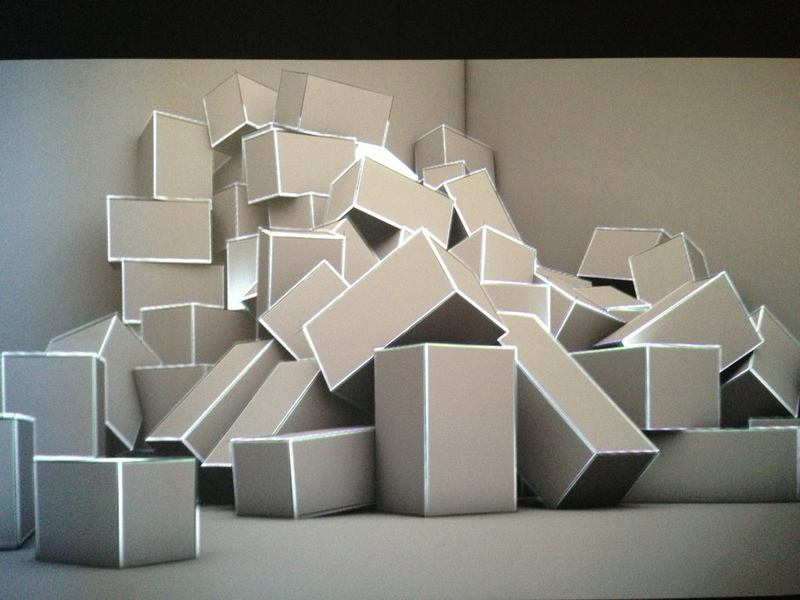 Joanie Lermercier's "Light Sculpture" pieces from New-York-based Muriel Guepin Gallery featured arrangements of large rectangular prisms (or cuboids) on a human scale along with light projection. Her pieces also included prints and video. 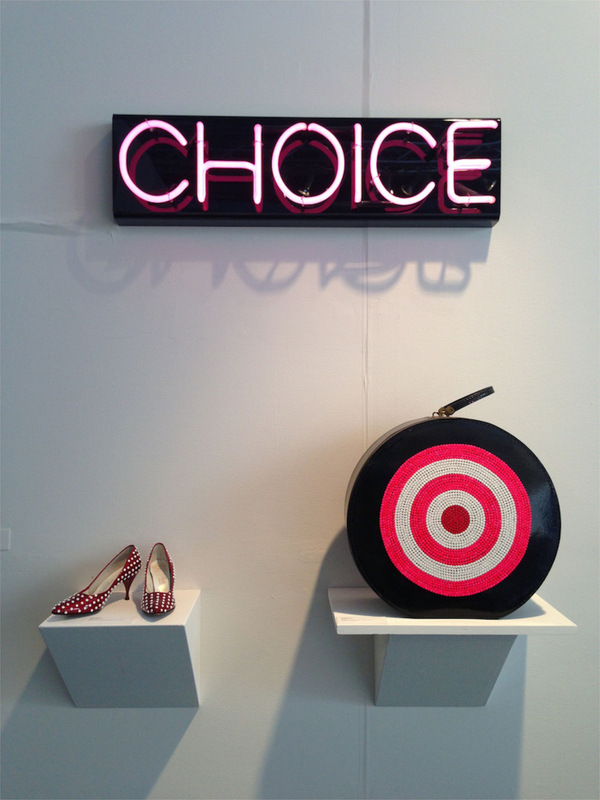 artMRKT’s international scope meant a broader geographic sampling of galleries than at ArtPadSF. In addition to several exhibitors from New York and Los Angeles, other cities and galleries were represented including Zemack Contemporary Art from Tel Aviv, Israel. 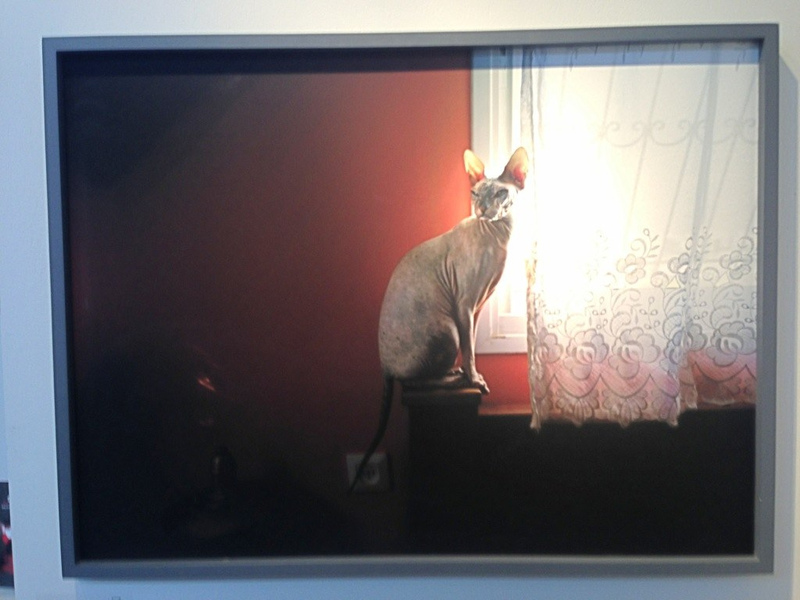 Zemack presented Israeli artists in its exhibit, including Angelika Sher. 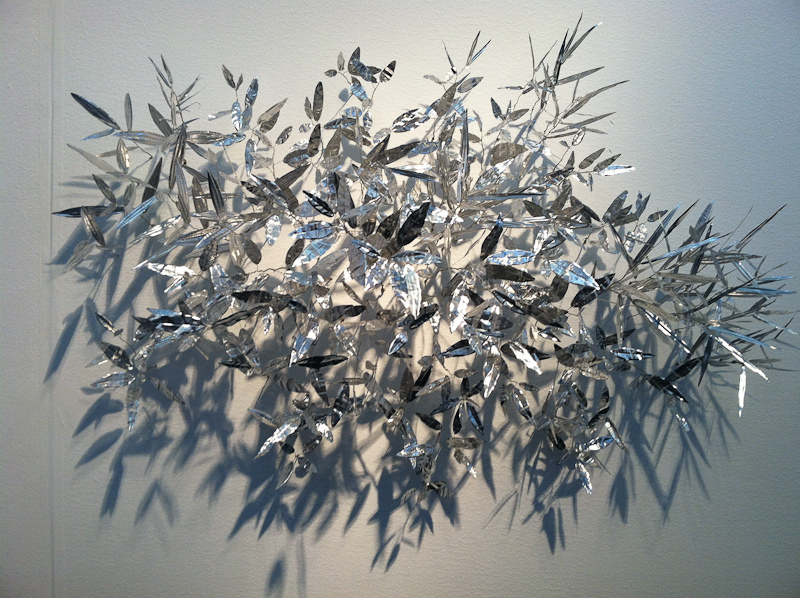 Closer to home, there were more Oakland galleries present at artMRKT, including Mercury 20 and Chandra Cerrito Contemporary. 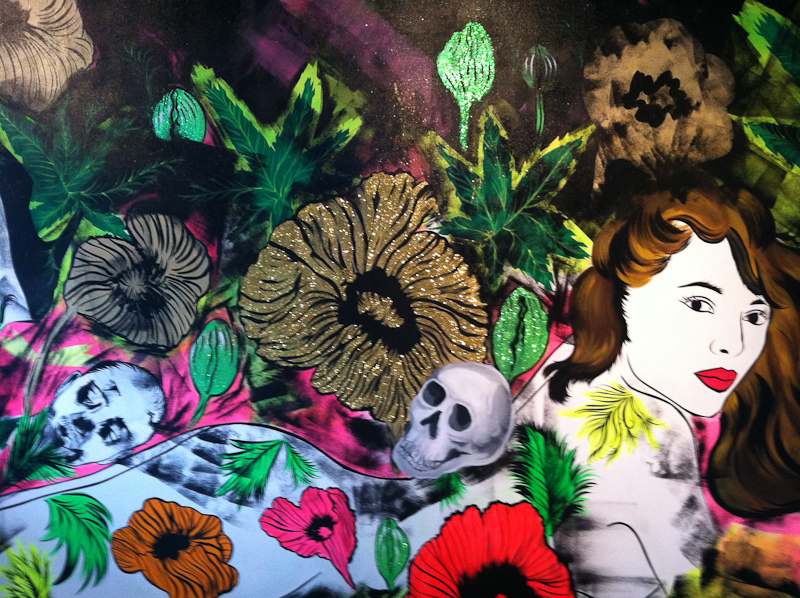 Mercury 20 featured works from member artists, including Charlie Milgrim. 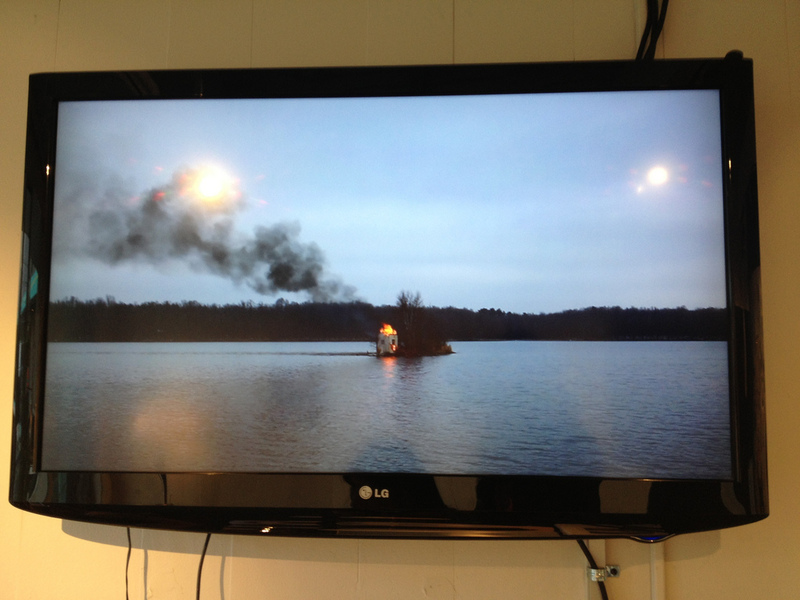 Chandra Cerrito featured some larger-scale works, including the captivating Ghost in the Machine by Randy Colosky. 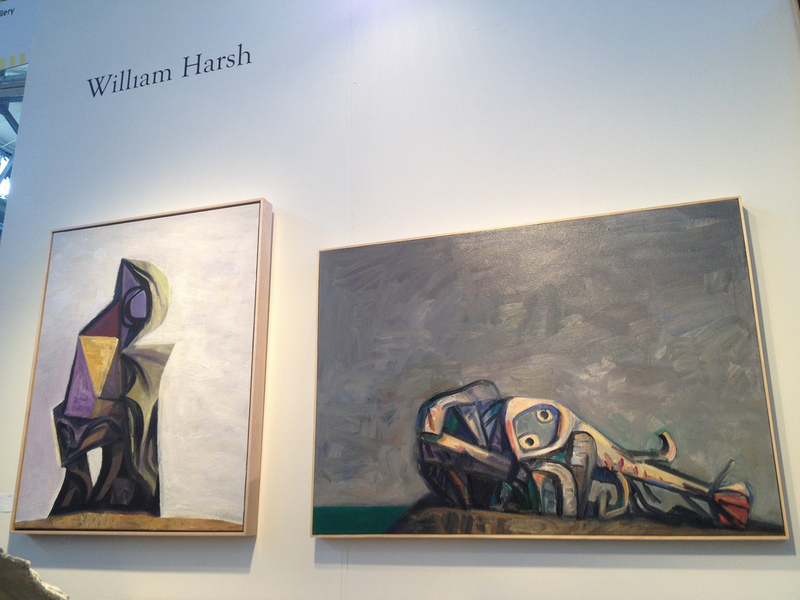 Familiar San Francisco galleries such as Stephen Wirtz and Jack Fischer, were also at the fair for the first time. 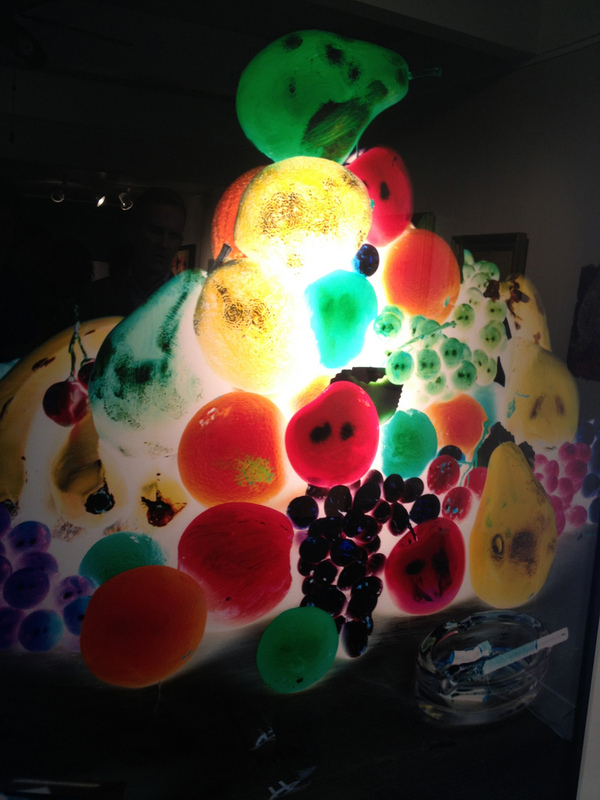 It was interesting to see that several local galleries that were at ArtPadSF last year, including Mercury 20 and Swarm, moved to artMRKT this year. It seemed to be a deliberate move to feature Oakland Art Murmur participants as a group at artMRKT, though ArtPadSF officially had this listed in their program as well (but only two galleries were in attendance). Despite the consolidation, two fairs and over 100 galleries is still an overwhelming amount of art for anyone to take in during one weekend. Now in year three, have Bay Area art fairs established themselves as a viable platform for art-lovers looking to discover new art, as well as galleries attempting to connect with new collectors? Record crowds and decent sales suggest that ArtPad and artMRKT may have finally found their legs. This year's change to fewer fairs, each with distinct focus seems successful. We'll have a better idea if this is a lasting formula when they come around again in 2014. 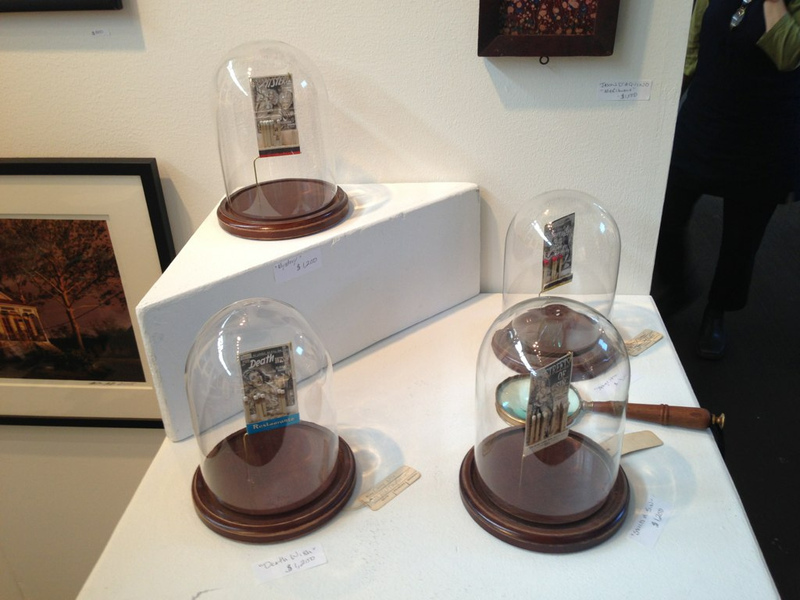 Below are more photos from both art fairs. 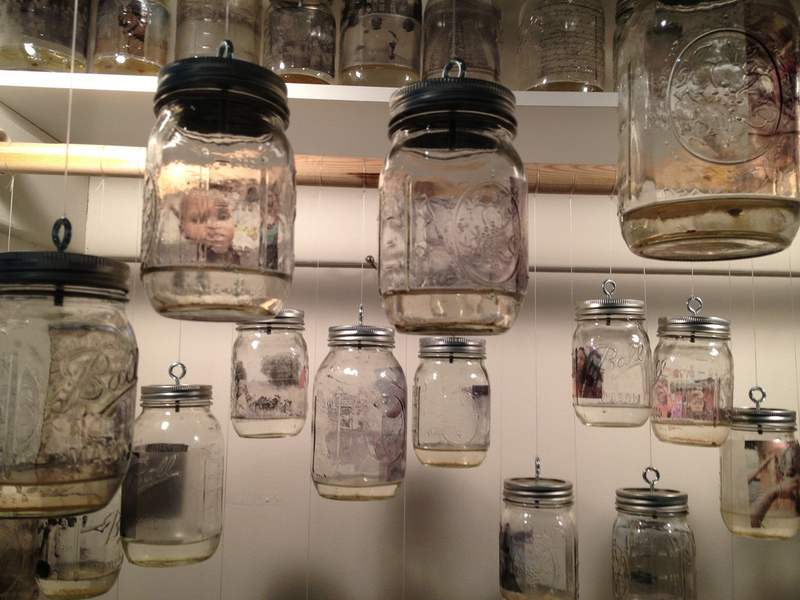 Cloud Jars, Rodney Ewing, photos on mason jars filled with water. 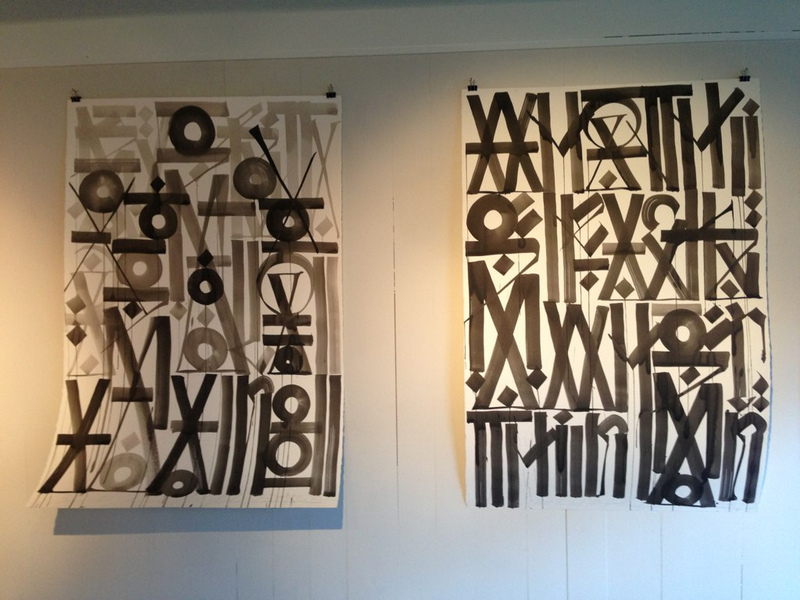 Retna New Image Art Gallery. St. Petersburg, Matthew Picton, durular, enamel paint and pins. Toomey Turell gallery. 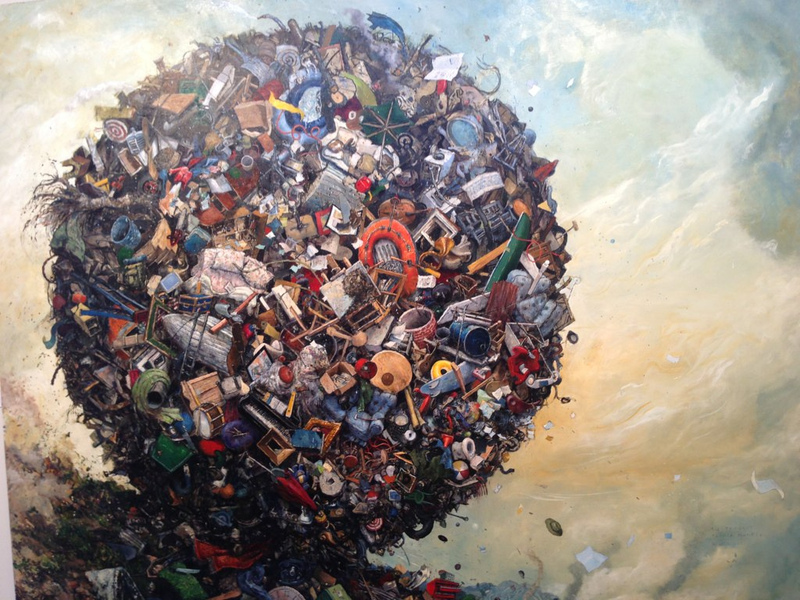 Sic Transit Gloria Mundi, Chester Arnold, Oil on Linen (78 x 94 inches). Catherine Clark Gallery. 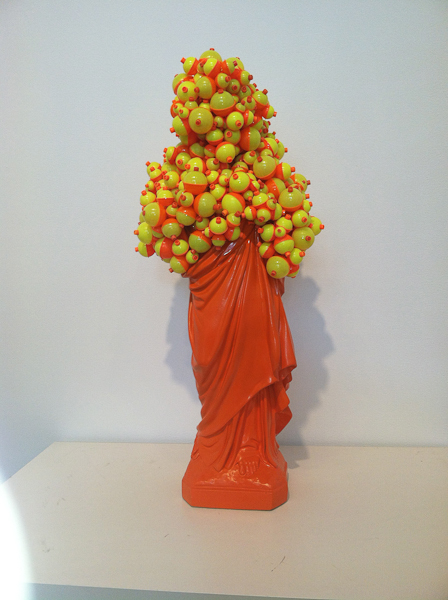 Float (Orange), Keith W. Bentley, repurposed resin figure, plastic floats, paint, plaster, and steel. 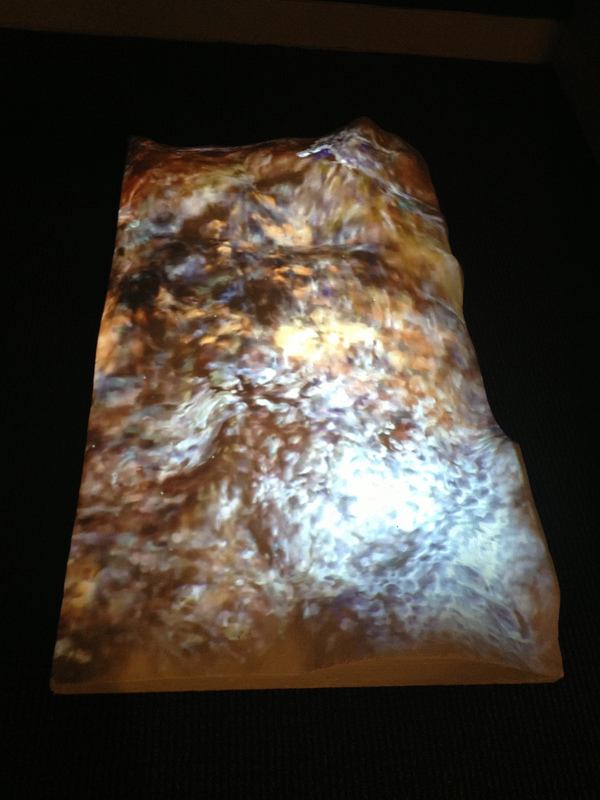 Animalia Chordata, Gabriel Garcia-Columbo, multi-media and videos of 4 and 6 minute loops. Muriel Guepin Gallery.